We need to hammer out which Reachmen tribe(s) are here, and which (if any) the Hagraven is affiliated with. Angturiel is a Direnni ruin. 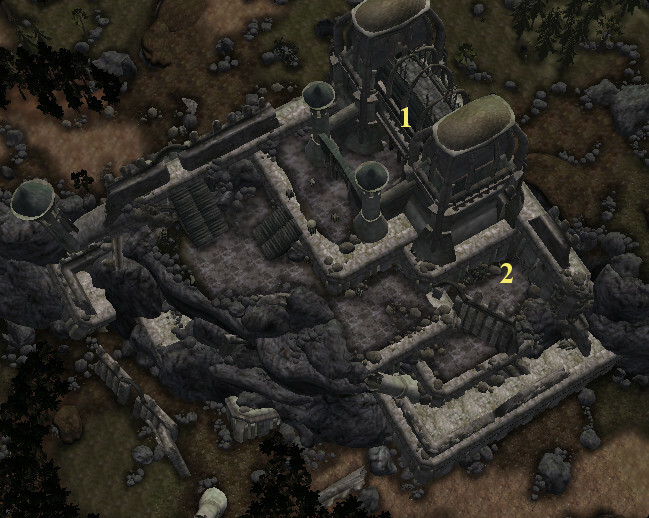 Once a military outpost guarding Amhrothal and the holding of a minor Direnni lord, Angturiel is now inhabited by creatures and hostile Reachmen (but only in the Underworks). The site of a major DSW Mages Guild quest. - The main building and two glass domes. (all three are separate ints). 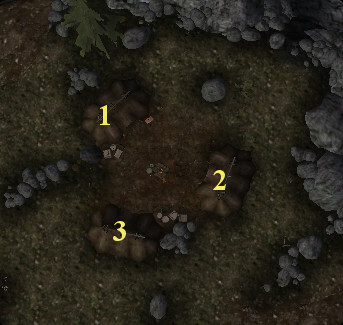 - Should be populated with summons and other creatures appropriate for Direnni ruins. - The Underworks is comprised of a prison area with three cells, a torture rack and lots of small rooms with storage area for weapons and stuff. The garden area is connected to a cave (Sky_iRe_FF01) that was once used as a secret escape tunnel. 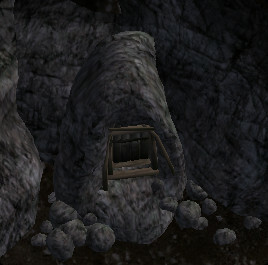 nowadays the cave is inhabited by a group of hostile Reachmen who use the resources of the Direnni garden for their own purpose. Maybe the player could get a key to the Underworks by killing the leader of the tribe who is possessing it? - Should be populated with Direnni ruin-appropriate creatures and some hostile Reachmen of the Nourthu tribe, with the majority of them being near the entrance to their cave. This is a camp of hostile Reachmen of the Nourthu tribe. The exterior cell will remain unnamed. Hostile, nomadic Reachmen of Nourthu tribe. Up to claimant. This is a cave of Reachmen cultists and the hagraven matriarch of the Nourthu tribe. There's an entrance into Angturiel's Underworks.